Nara Rohit is known for his penchant for variety of roles. People love him for his scintillating performances ever since he made his debut in ‘Banam’. After he entertained in films like ‘Solo’, ‘Okkadine’, ’Pratinidi’, ’Rowdy Fellow’, ’Asura’, ’Tuntari’ and ‘Savitri’, he is coming to entertain movie lovers with ‘Raja Cheyyi Veste’. The film at once attracted the attention of all for the unique title. Film is directed by Debutante Pradeep Chilukuru. Isha Talwar is romancing Nara Rohit in the film and the film is generating immense interest as Nandamuri Hero Taraka Ratna is shedding his entire image to star as villain in the film. 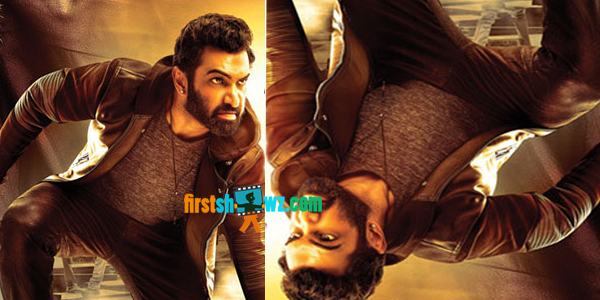 In the recently released trailer Taraka Ratna showed his power and versatility in acting. Dialogues like "Nuvvu brain ni gun la vaadu, appude nee alochanalu bullet la doosukelthayi" elevated the power of the villain. Taraka Ratna look as antagonist too became talk of the town. Sai Kartik scored music for the film which is produced on Vaarahi Entertainments banner by Sai Korrapati. Film is slated for grand release on 29th, April. Yukta Creations LLC, DFC Entertainments acquired US rights for the film.